Though Praye Tietia and Praye Tintin of Praye fame announced their comeback after breaking away for almost five years last week, the duo admit it is not going to be the same without Choirmaster, the group’s third member. “For now, the two of us are holding the fort as Praye but we believe the group can be more solid if all three of us come together. “We will do our best to keep the Praye name alive but people have come to love us as a group and we wish Choirmaster was on board,” Praye Tietia, now known as Big J Cartel, told Showbiz in an interview last Friday. 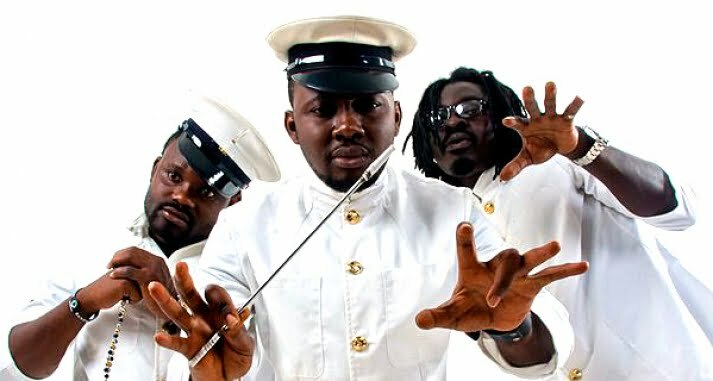 According to him, though they are still in talks with Choirmaster to join and make the Praye group complete, they know it is not going to be easy because Choirmaster is now committed to a new record label, Blue Roze Entertainment for five years. Big J Cartel said they have the patience to wait for Choirmaster to finish his term with his new management as the two keep the Praye group alive. “No matter how long it takes, we will still wait for Choirmaster to finish his term with his new label so that he comes back to the group,” he said. Asked why the group decided to come back after almost five years, Big J Cartel said it was for the sake of the fans. He added that after several calls and appeals to the group from fans after the split, they thought it wise to put their egos aside and come together. Blue Rose Entertainment has indicated that Choirmaster is committed to the label over the next five years as a solo act and there are clauses in the agreement that do not allow him to attend to other projects without prior approval from the label. The label has pointed out that it is not against the reunion, but if that is what all the members of the trio want, then it is possible to come to some amicable terms to make it possible.